Using NASA’s Chandra X-ray Observatory and the 6.5-meter Clay Telescope, a team of astronomers has identified the smallest supermassive black hole ever detected in the center of a galaxy. This oxymoronic object could provide clues to how larger black holes formed along with their host galaxies 13 billion years or more in the past. The other co-author of the paper is Jenny Greene, from Princeton University in Princeton, New Jersey. NASA’s Marshall Space Flight Center in Huntsville, Alabama, manages the Chandra program for NASA’s Science Mission Directorate in Washington. The Smithsonian Astrophysical Observatory in Cambridge, Massachusetts, manages Chandra’s science and flight operations. 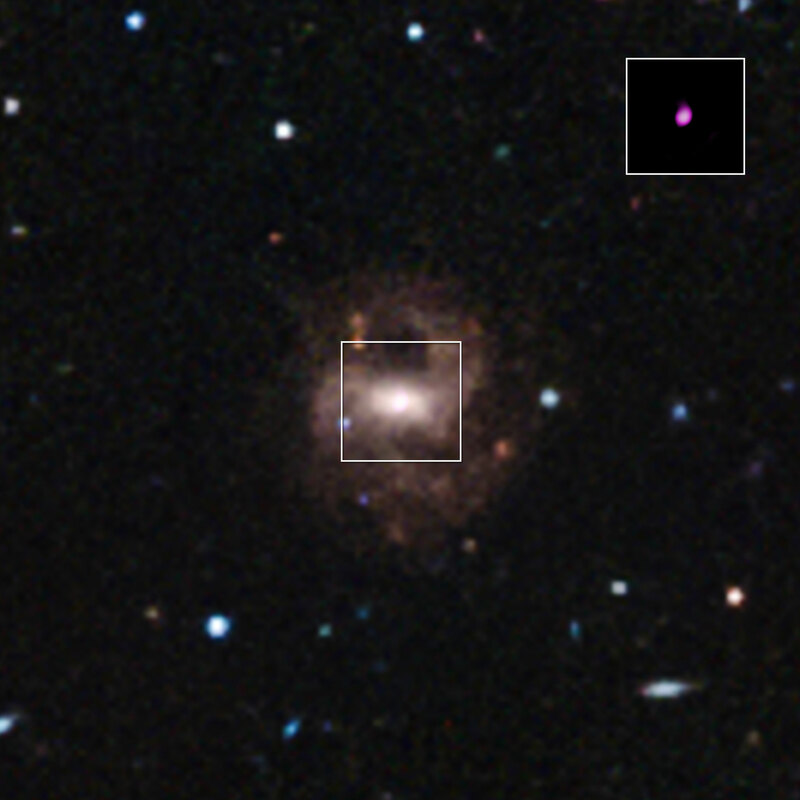 Be the first to comment on "Astronomers Identify the Smallest Supermassive Black Hole to Date"